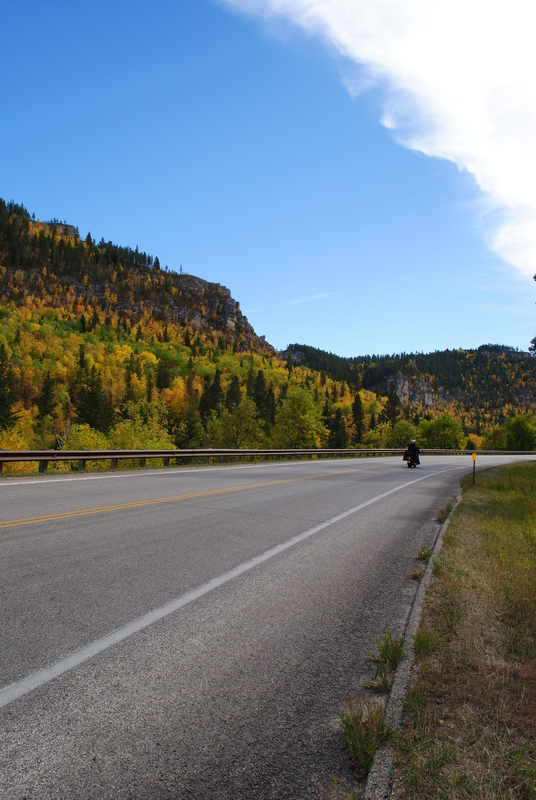 A drive on Spearfish Canyon Scenic Byway is 20 miles of pure natural beauty. The towering limestone walls have been carved away by erosion leaving an incredible canyon. There is amazing diversity of plants and wildlife. Pullouts for parking are found frequently along the drive, allowing you to explore the area. The canyon has many hiking opportunities like the 76 Trail and the Roughlock Trail. The Roughlock trail will take you to Roughlock Falls a beautiful area with sidewalks and boardwalks making it accessible to most people. Speaking of waterfalls, Little Spearfish Falls is a short hike with a rewarding view of the falls. 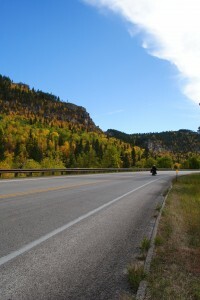 If you are in the Black Hills be sure to save an afternoon for a drive through scenic Spearfish Canyon. The video above starts in Spearfish and takes you about half way in the canyon to Savoy, near Little Spearfish Falls and Roughlock Falls. The second video is the trip back to Spearfish from Savoy, same drive but a different perspective. You’ll find the begin of the canyon just off Colorado Blvd. in Spearfish SD.